The first plenary talk at the fast approaching Allied Genetics Conference (TAGC) will be given by Leonard Zon. His talk is certain to provide an exciting start to the joint meeting sessions. 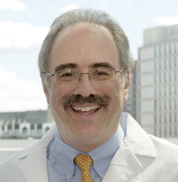 Zon is the Grousbeck Professor of Pediatric Medicine at Harvard, Director of the Stem Cell Program at Boston Children’s Hospital, and an HHMI researcher. His lab uses zebrafish to study blood and hematopoietic development, as well as related cancers. Among his many contributions to this field, one of his favorites was the identification of the long-elusive yolk sac iron transporter, ferroportin1, which when mutated results in anemic fish. He went on to show that this novel gene was also present in the mammalian placenta, and human patients with mutations in Ferroportin1 had iron imbalance disorders. “It was the first time a zebrafish gene predicted a human disease,” Zon recalls. During his presentation at TAGC, he plans to highlight three different stories that began in zebrafish, all centered around the common theme of using a model system for the development of therapeutics. This includes discussing a drug that increases blood stem cells, as well as a drug that treats melanoma, both of which are now in clinical trials. He’ll also describe the discovery of a third drug that treats a rare form of anemia. He is also encouraging members of his own lab to not only attend TAGC, but to actively participate. In fact, it is a “lab rule” that anyone attending a conference must submit an abstract. “I do that because it’s very important to have people present their work. Science is about communication, how you give a talk, how you give a poster, how you get people to view your science in a different way,” he said. Zon’s belief in the importance of communicating science extends to outreach as well. In 2002, as a response to strict restrictions on federal funding for stem cell research, he founded the International Society for Stem Cell Research. Today the society has over 4,000 members, and helps provide a cohesive voice for the stem cell research community to the public, media, and policy makers. “We should be doing everything we can to educate the public,” Zon said. He also stressed the importance of professional societies like GSA in educating the public. While reminiscing about past conferences, Dr. Zon placed his favorite memories into two categories: science and networking. He recalled both the experience of attending groundbreaking presentations, as well as giving talks of his own. As a postdoc, he was extremely proud to discuss cloning the transcription factor Gata. Zon also fondly remembers myriad social experiences at conferences over the years.e’s met some of his closest friends while attending meetings. “I have many, many stories about everything from great presentations, [for example] watching Shinya Yamanaka give the first lecture on the [iPS cell] reprogramming factors, to hanging out at parties with a bunch of friends. All of these were just wonderful, wonderful experiences,” he recalls. 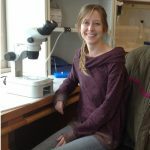 Kristin Fenker is a graduate student in the Human Genetics Department at the University of Utah, where she studies genes involved in C. elegans sperm development. She also has a passion for science communication, in particular improving public understanding of science.